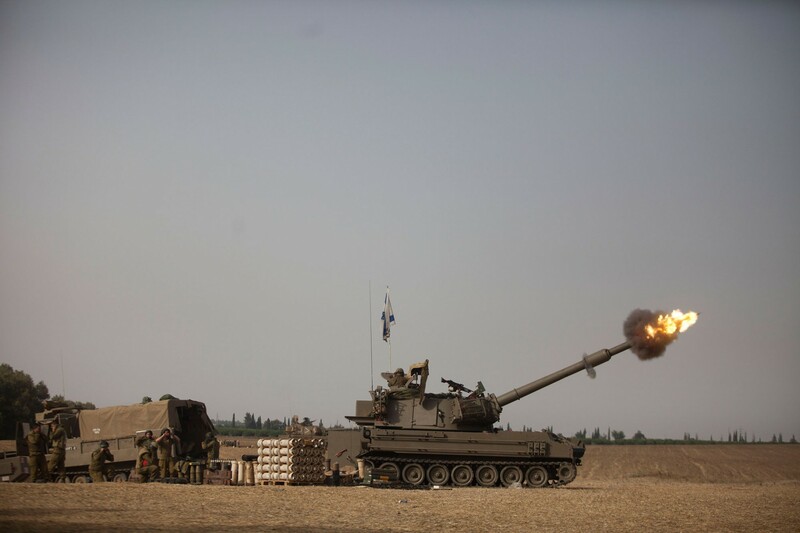 An Israeli artillery cannon fires a shell on July 12, 2014 on Israel's border with the Gaza Strip. 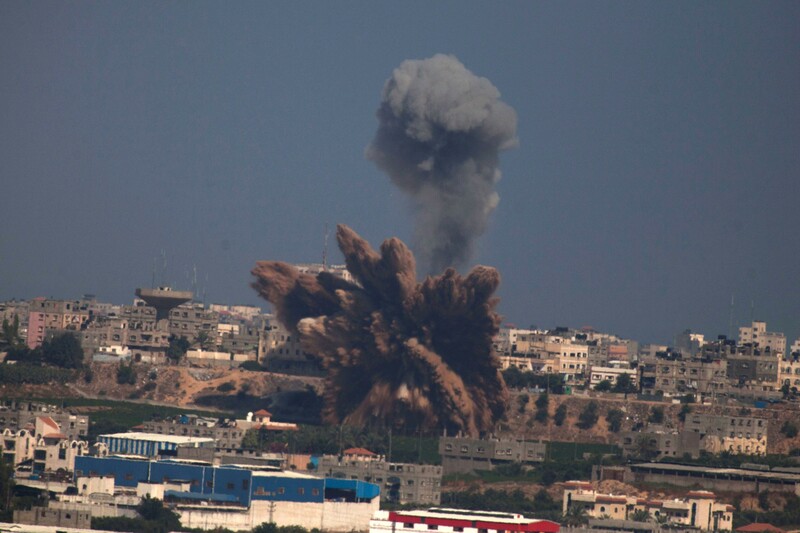 A plume of smoke rises over Gaza following an Israel Air Force bombing, on July 9, 2014. 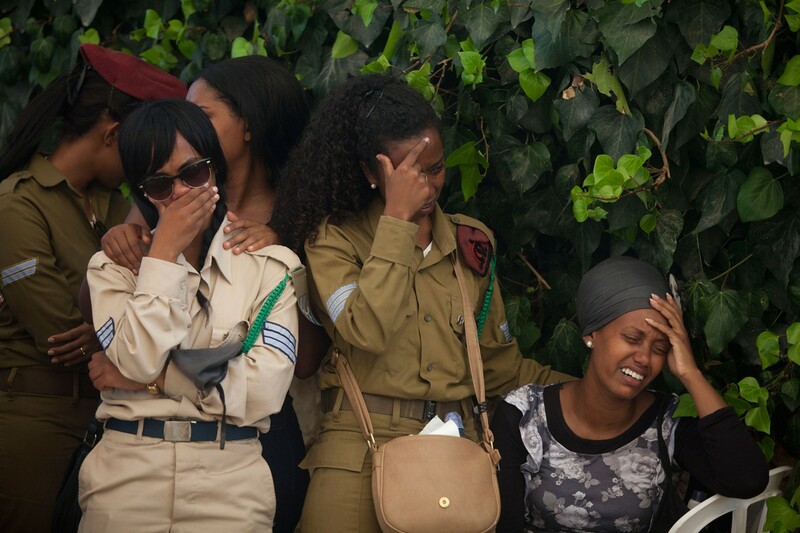 Israeli soldiers and friends mourn during the funeral of Israeli soldier Moshe Malko on July 21, 2014 in Jerusalem, Israel. 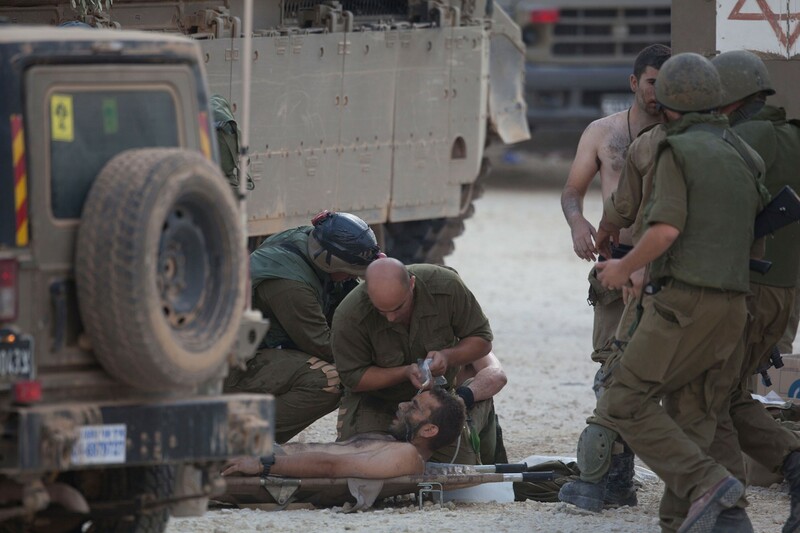 Israeli soldiers give medical care to soldiers who where wounded during an offensive in Gaza on July 20, 2014 at the Israeli-Gaza border. 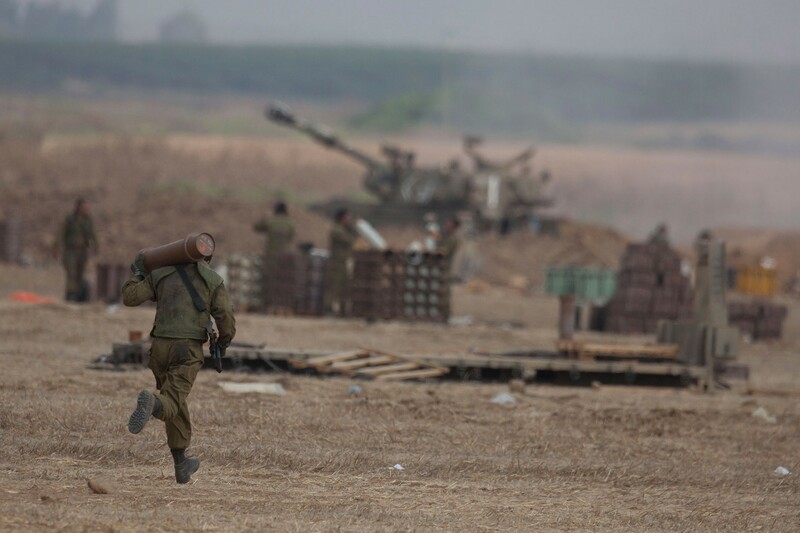 An Israeli soldier runs with shell next to artillery cannons on July 20, 2014 at the Israeli-Gaza border. 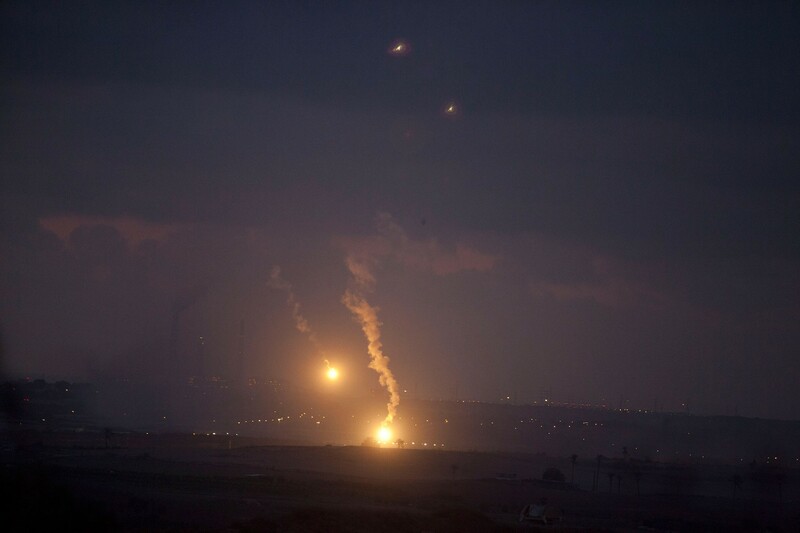 Illumination flares rises over Gaza, on July 17, 2014. 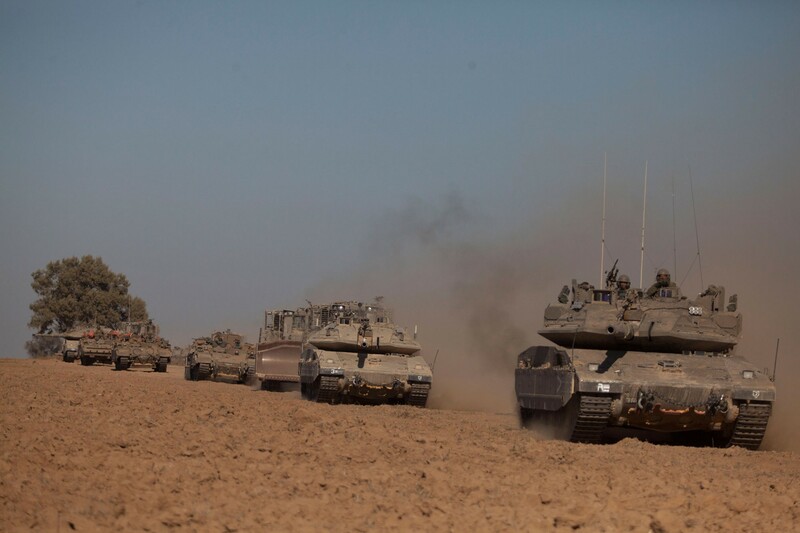 Israeli tanks seen moving along the border with Gaza on July 17, 2014 on Israel's border with the Gaza Strip. 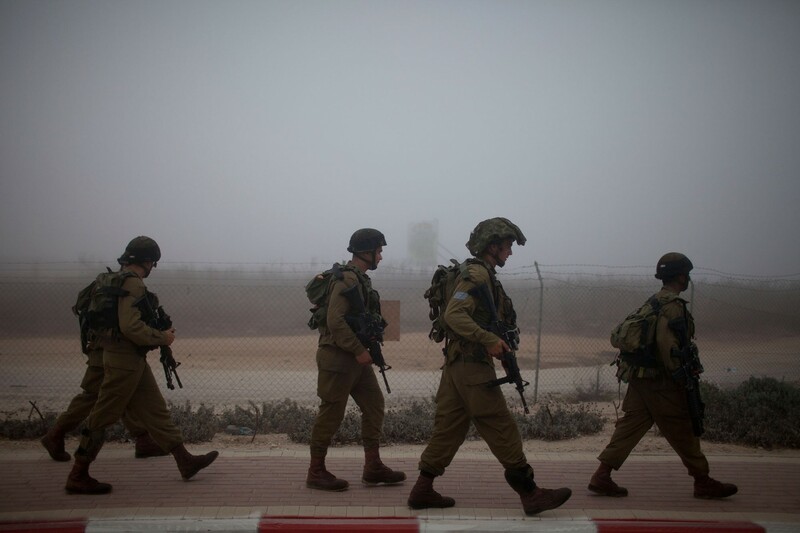 Israelis and tourists take cover after running from the beach during a rocket attack fired by Palestinian militants from the Gaza Strip on July 15, 2014 in Tel Aviv, Israel. 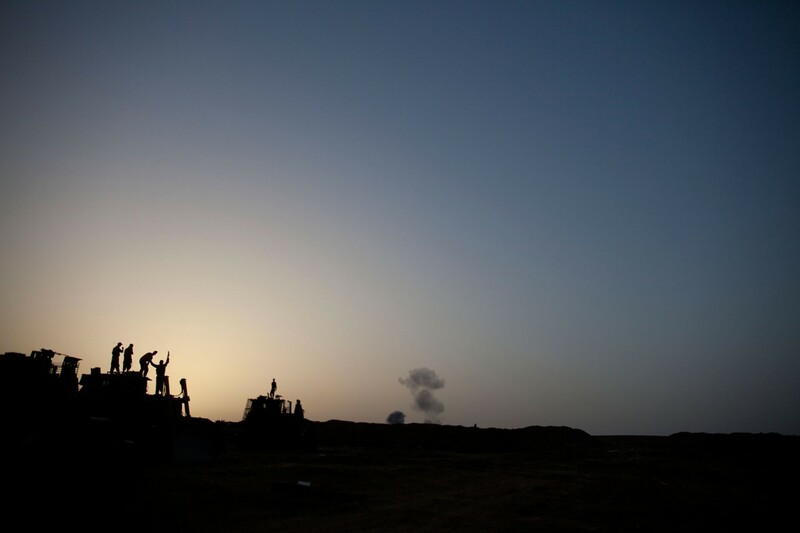 Israeli soldiers watch smoke plumes rises from Gaza following an Israel Air Force bombing on July 12, 2014 in Israel Gaza border. 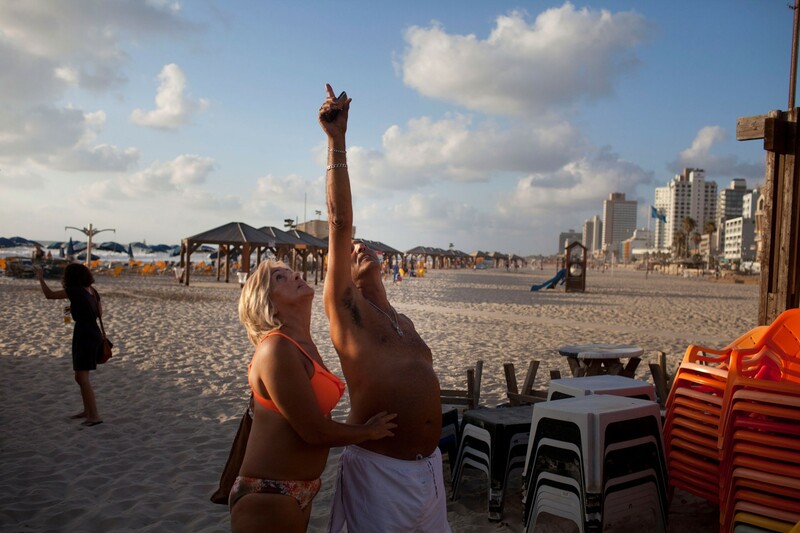 Israelis and tourists watch the sky on the beach during a rocket attack fired by Palestinian militants from the Gaza Strip on July 15, 2014 in Tel Aviv, Israel. 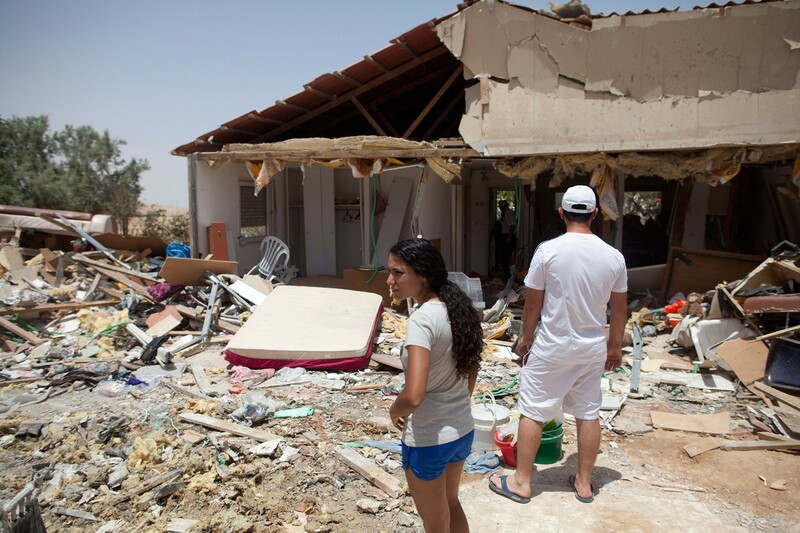 An Israeli woman inspects the damage of a house after it was hit by a rocket fired from Gaza on July 12, 2014 in Beer Sheva , Israel. 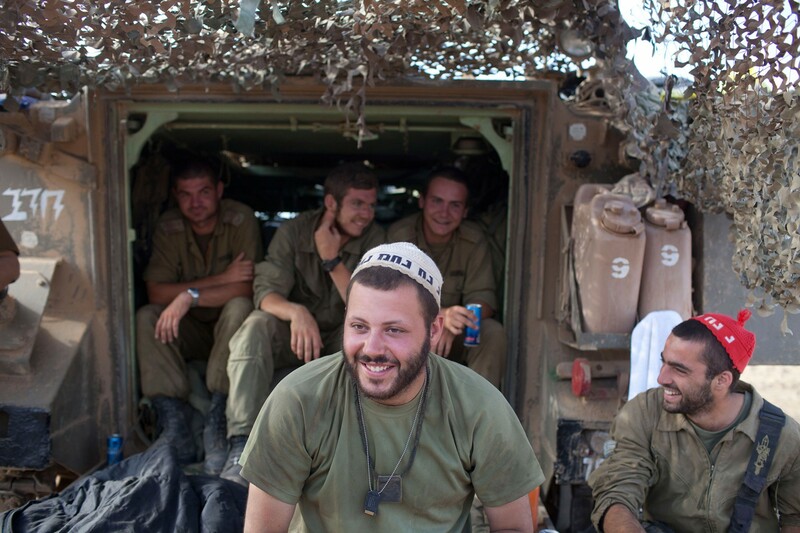 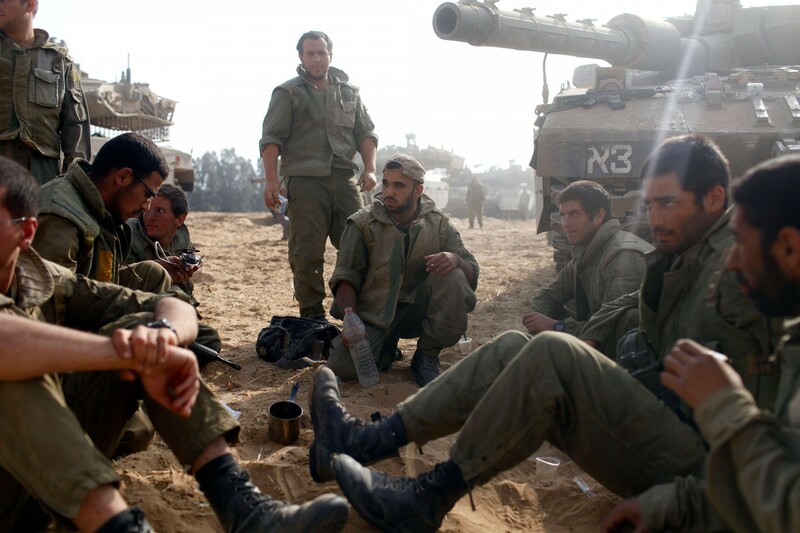 Israeli soldiers sit next to a tank in a deployment area on August 02, 2014 on Israel's border with the Gaza Strip. 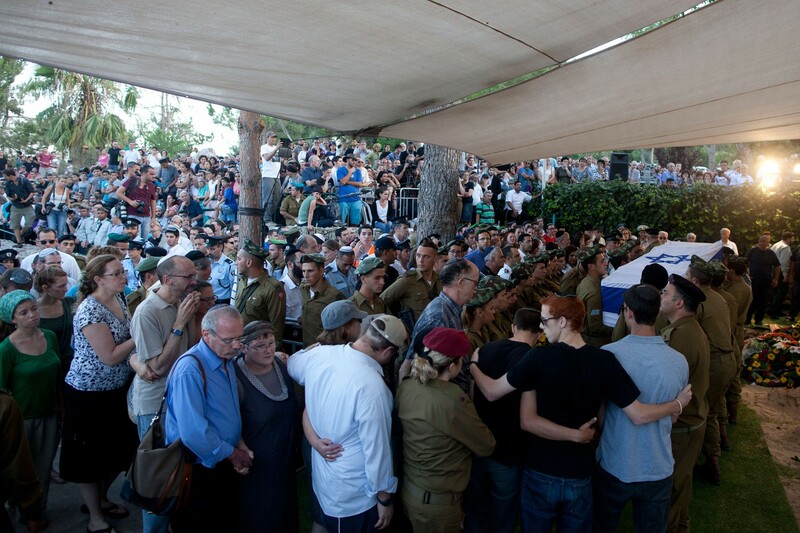 Israeli soldiers carry the flag-draped coffin of their comrade Barkai Yishai Shor during his funeral on July 29, 2014 in Jerusalem, Israel. 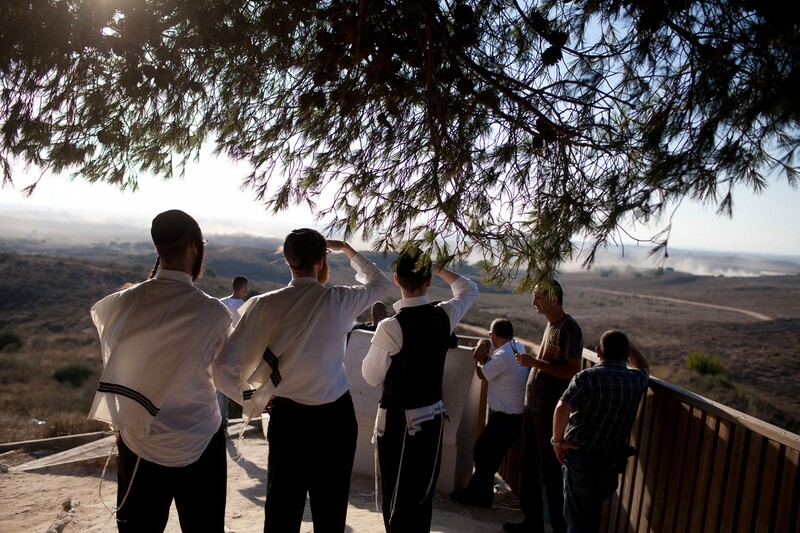 Ultra Orthodox Jews watch smoke plumes rises from Gaza on on July 24, 2014 on Israel's border with the Gaza Strip. 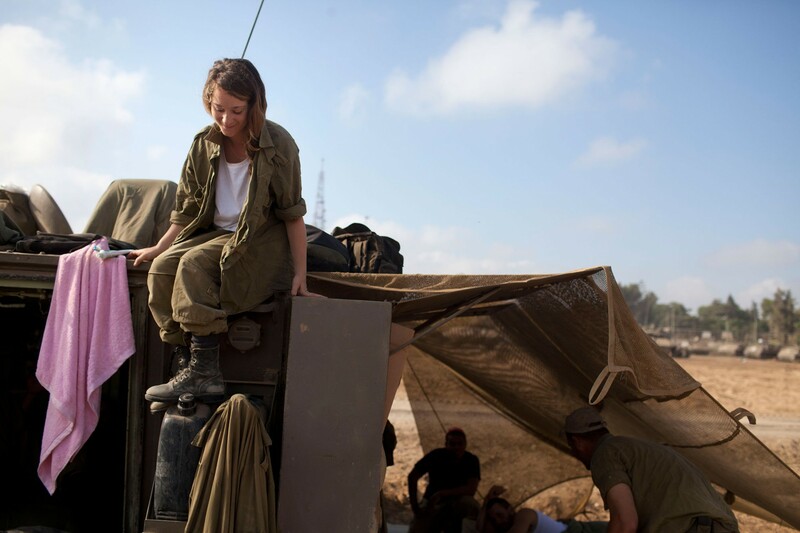 An Israeli woman soldier sits on an Army Armoured Personnel Carrier (APC) in a deployment area on July 24, 2014 on Israel's border with the Gaza Strip. 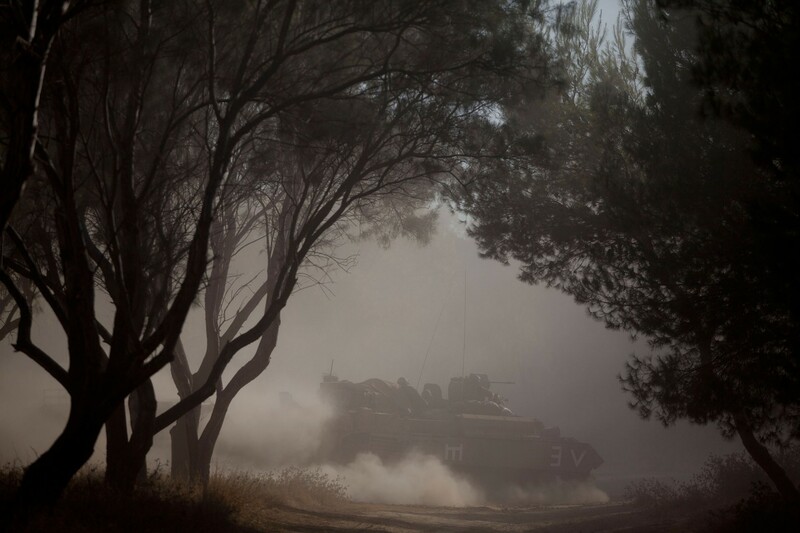 Israeli soldiers sit next to a Army Armoured Personnel Carrier (APC) in a deployment area on July 24, 2014 on Israel's border with the Gaza Strip. 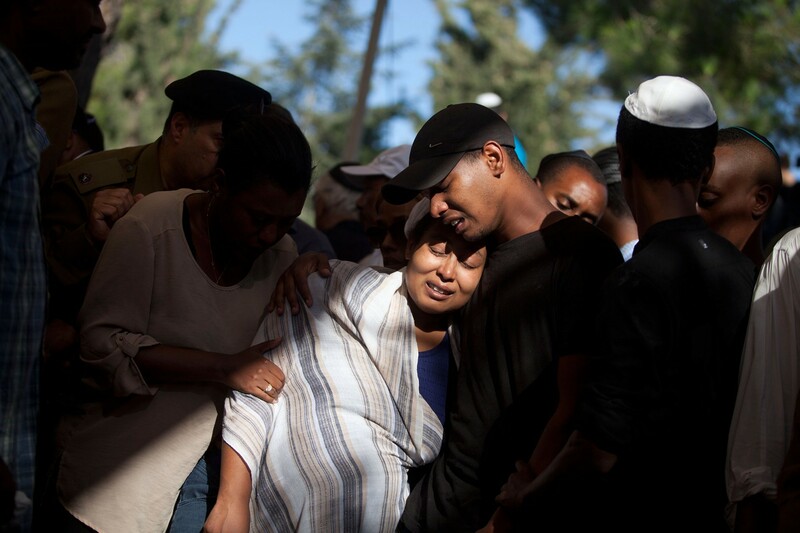 Family members and friends of Israeli soldier Moshe Malko mourn and cry during his funeral on July 21, 2014 in Jerusalem, Israel. 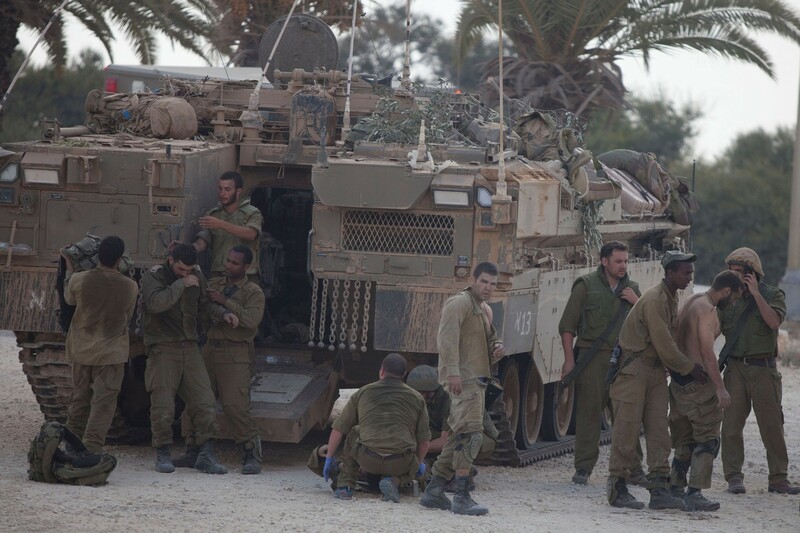 Israeli soldiers patrol next to a Kibutz on July 24, 2014 on Israel's border with the Gaza Strip. 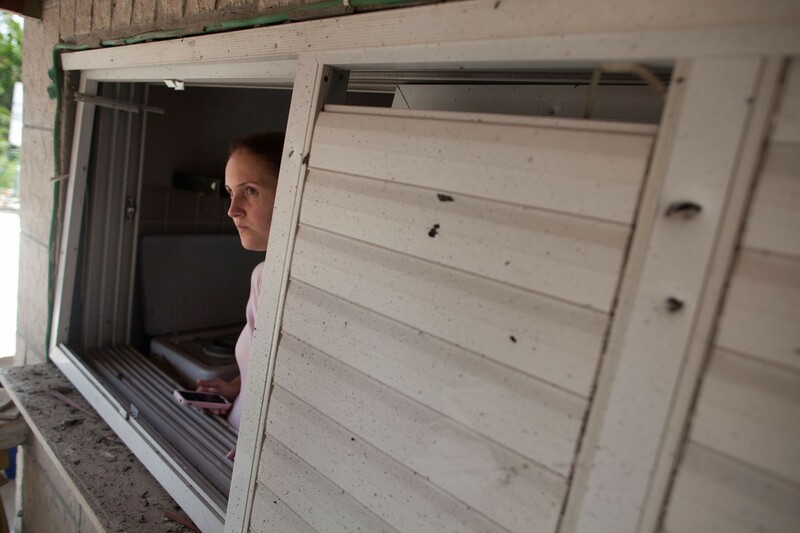 An Israeli woman inspects an Israeli home allegedly hit by a Hamas rocket on July 22, 2014 in Yahud south to Tel Aviv, Israel. 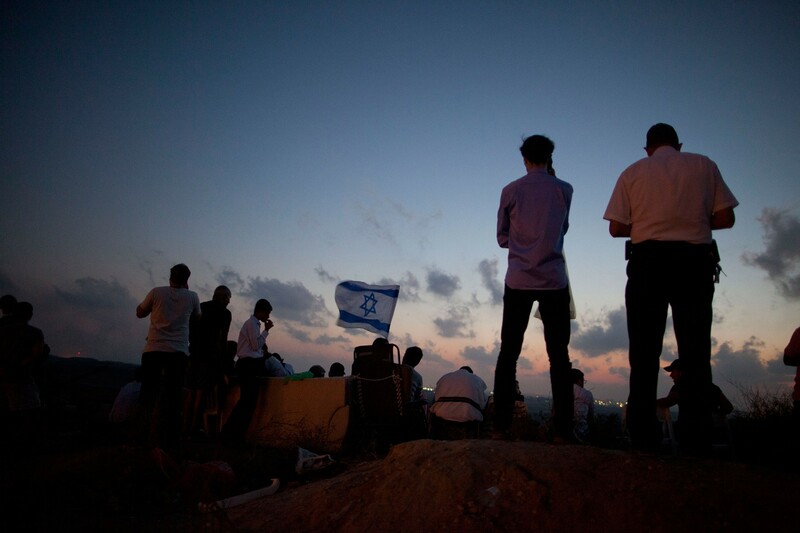 Israelis stand with an Israeli flag on a hill overlooking the Gaza Strip on July 20, 2014 near Sderot, Israel. 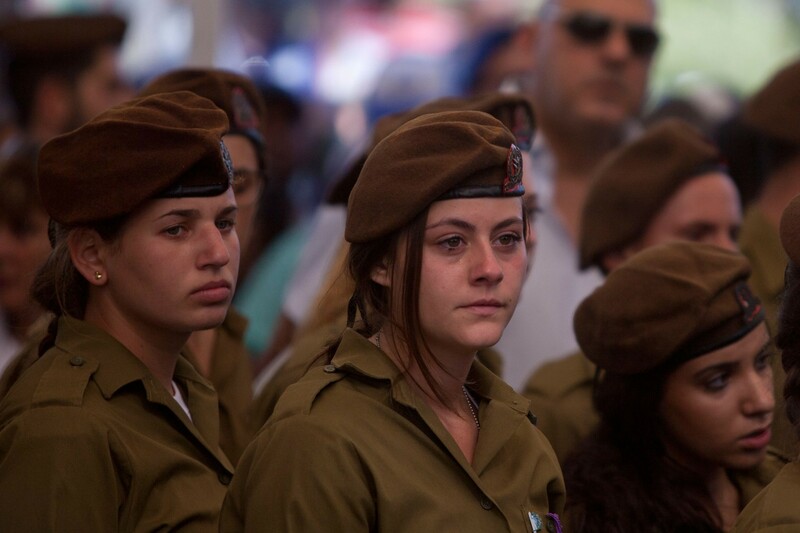 Israeli soldiers mourn during the funeral of Israeli soldier Moshe Malko on July 21, 2014 in Jerusalem, Israel. 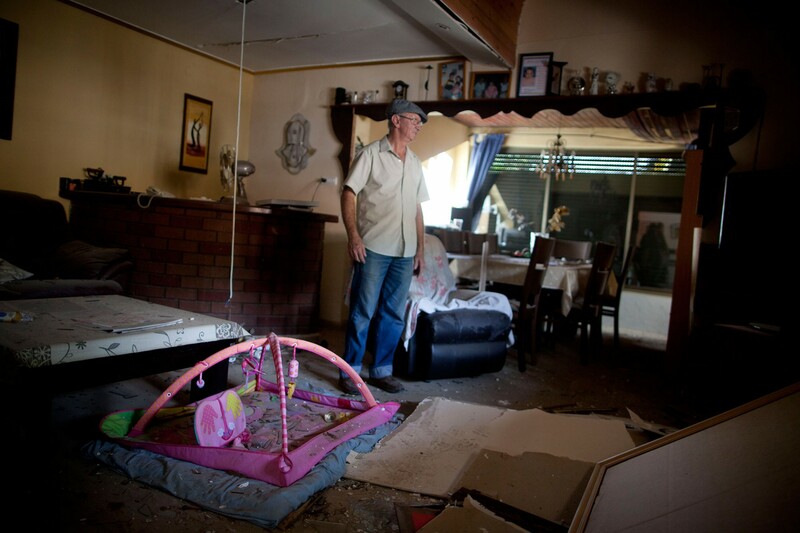 An Israeli man inspects an Israeli home allegedly hit by a Hamas rocket on July 22, 2014 in Yahud south to Tel Aviv, Israel. 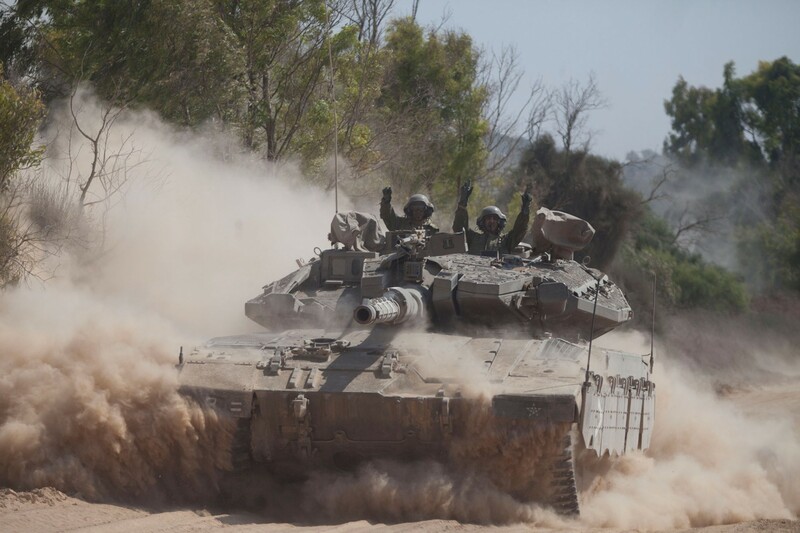 An Israeli tank moves along the border on July 20, 2014 on the Israel/Gaza Strip border. 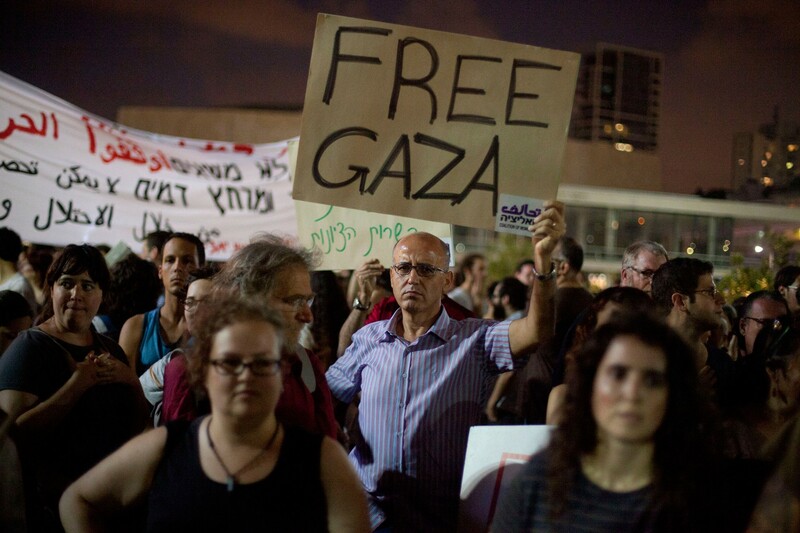 Israelis take part in a protest against Israel's military operation in the Gaza Strip on July 19, 2014 in Tel Aviv, Israel. 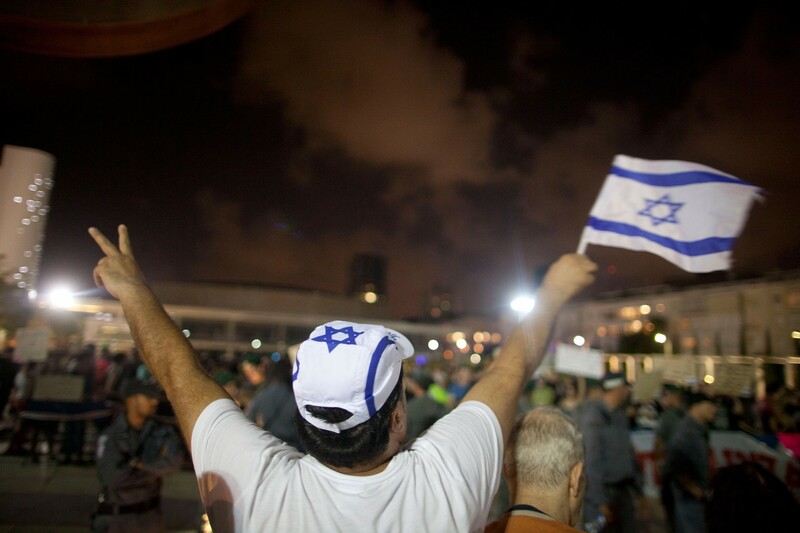 Israelis demonstrate in support of Israel's military operation in the Gaza Strip on July 19, 2014 in Tel Aviv, Israel. 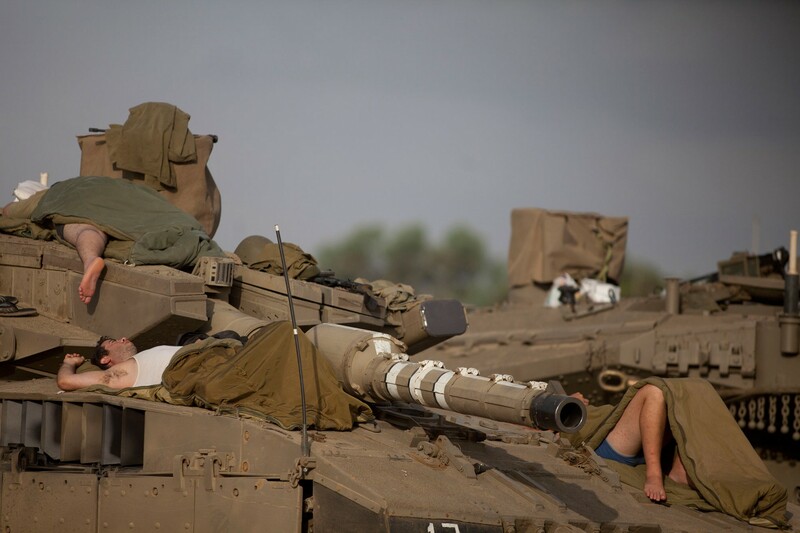 Israeli soldiers sleep on a tank in a deployment area on July 13, 2014 on Israel's border with the Gaza Strip.